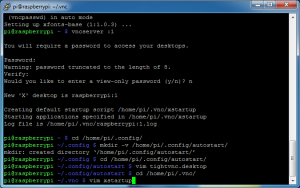 I enabled VNC in case, for example, I had my Pi on a trip and didn’t have a monitor. Sometimes it’s just useful to use the graphical desktop. 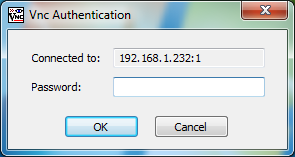 It is NOT advisable to enable on an insecure network. The VNC client I use is the standard one for Windows, TightVNC. 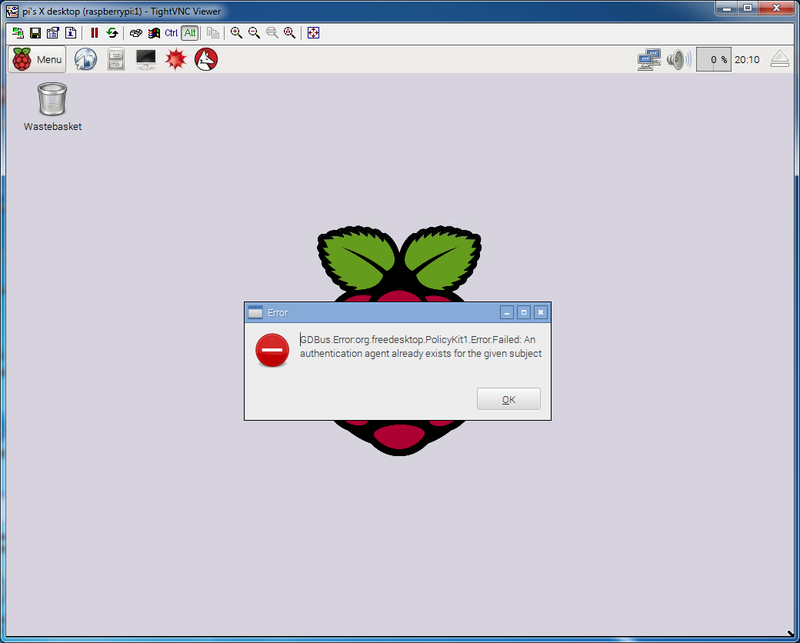 I used the tutorial from Adafruit on Remote Control with VNC. 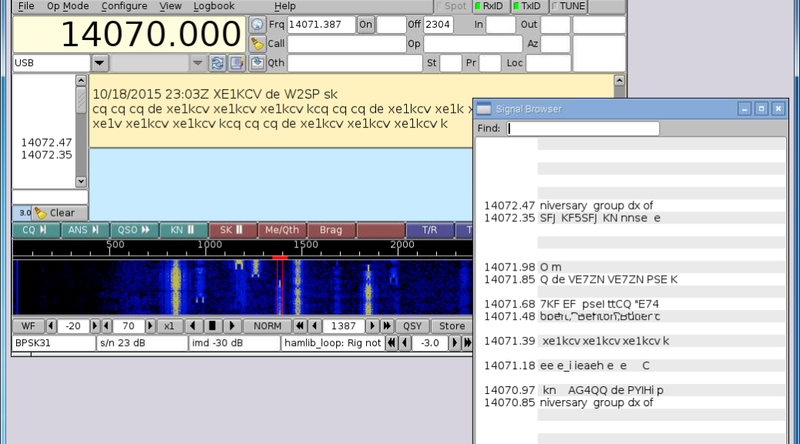 Autocutsel enables copy & pasting from the VNC window, very handy. 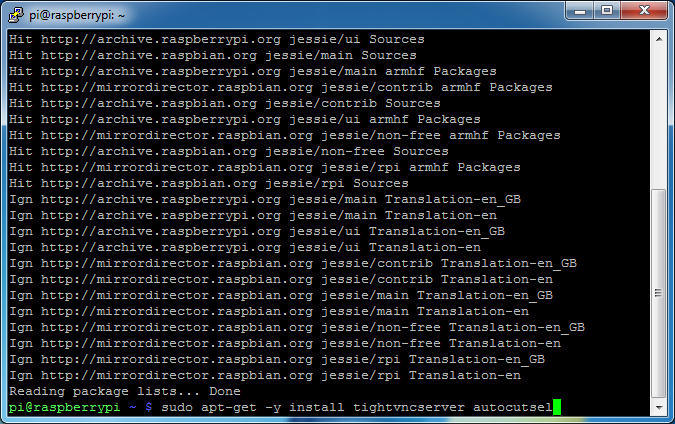 For a description of this command see the Updating Wheezy Raspbian section. 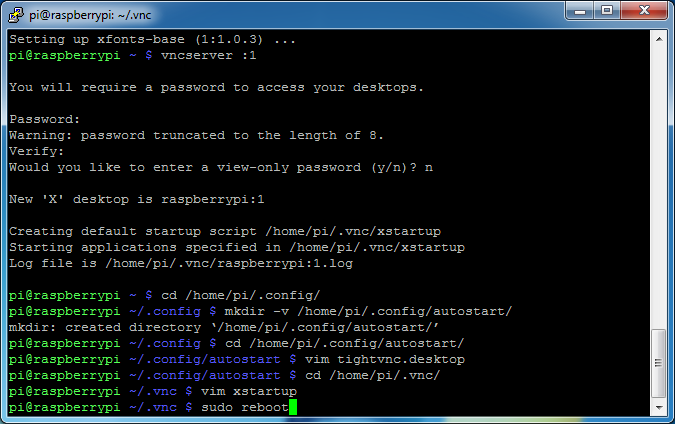 When the installation is complete, start the VNC server to setup access passwords. 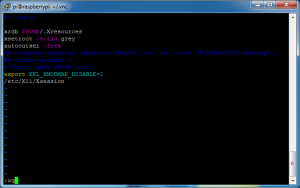 You will be required to enter a password for VNC. 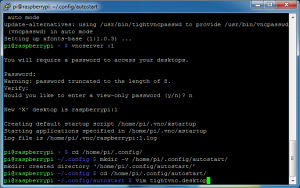 This can be different from the password for the “pi” user and are limited to 8 characters. Answer no to the read-only password. by using the arrow keys and End key. 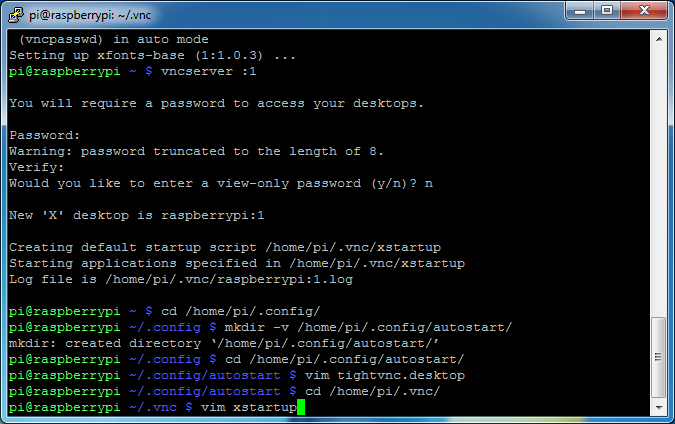 VNC will now automatically start when the Raspberry Pi is booted. 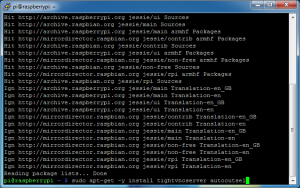 Start the TightVNC Viewer on a PC. 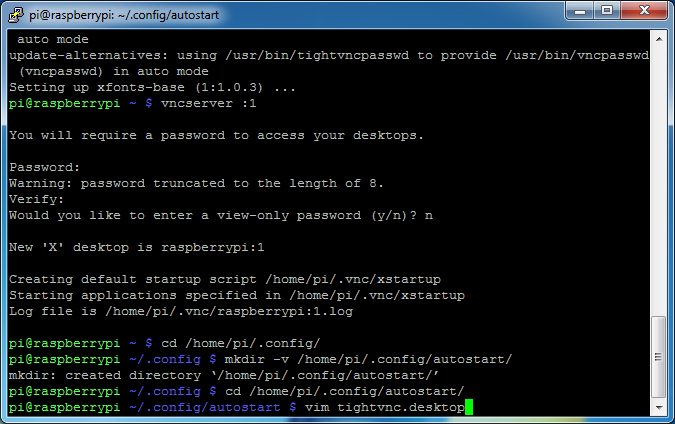 Enter the VNC password setup earlier. 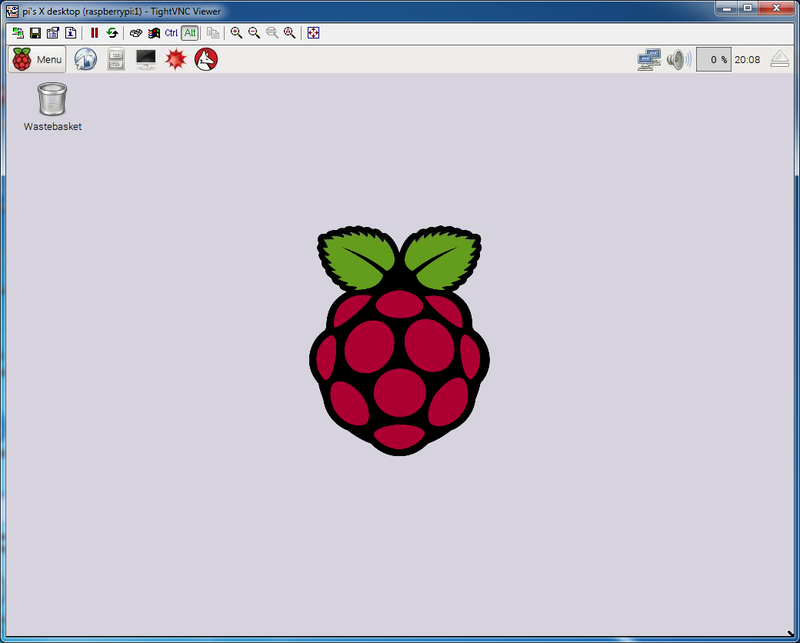 You should see the Raspberry Pi desktop. 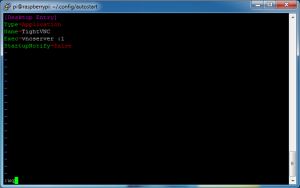 Each host (usually localhost) can have multiple displays. Each display can have multiple screens. 0 usually is the display on the physical device that has a monitor attached. 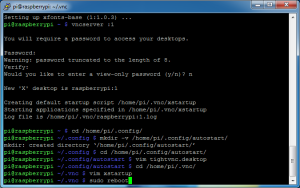 would start a total of 3 VNC sessions users could connect to over the network. Each display is separate. Users who connected to the same display number would see the same screen. 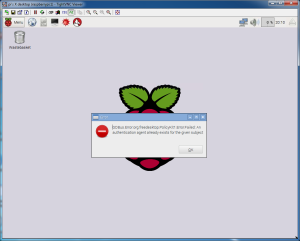 So, I’ve seen this error in a number of versions of Wheezy Raspbian using VNC. I figure it’s some bug or configuration setting. I ignore it by clicking OK.